What makes VIU Excellent in Teaching and Learning? 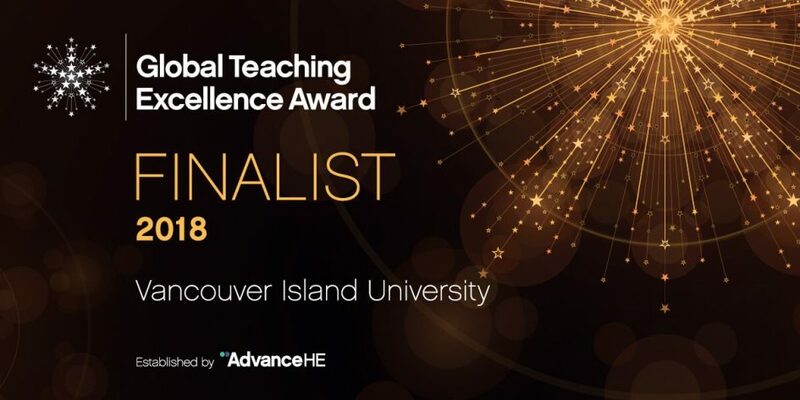 In May 2018, Vancouver Island University was named a finalist in the Global Teaching Excellence Awards from the Higher Education Academy headquartered in the United Kingdom. One of 17 finalists, VIU was the only other Canadian institution that was named a finalist besides McMaster University, which won the award. The 2018 award received 400 submissions from post-secondary institutions based in 41 countries and from 6 continents. This article shares insights into the application process and highlights VIU’s submission components. 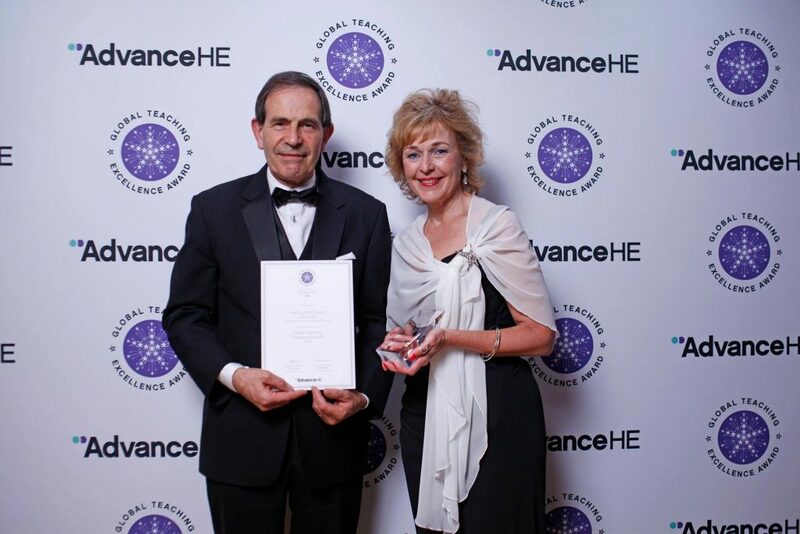 What are the Global Teaching Excellence Awards? The Global Teaching Excellence Awards were introduced in 2017 in association with the Times Higher Education. The awards highlight and celebrate institution-wide commitments to teaching and learning excellence and are the only global teaching recognition awards. Each year, any institution in the world can prepare a submission for consideration. All submissions go through a 4 stage review process beginning with a review from peer institutions. Then all submissions are evaluated by an independent judging panel comprised of 14 leading educators from around the world with representation from Australia, Brazil, Canada, Hong Kong, New Zealand, Pakistan, Saudi Arabia, Singapore, Switzerland, the UK and the USA. VIU entered the awards to promote and honour the outstanding work VIU campus community members do in support of access and excellence in student learning. The award was a perfect fit for VIU’s focus on teaching and the commitment we have made to open access educational opportunities for anyone who wishes to pursue a post-secondary education. Quite simply, it was time to put VIU on the global stage and have our peers see the work we have accomplished from supporting Indigenous learners and youth aging out of care, to welcoming international students by providing rich experiences for all learners. Additionally, we wanted to earn this finalist designation to raise VIU’s profile nationally and internationally, showing potential students and faculty hires that VIU is highly regarded for the work we do. What did the submission process entail? The submission process was open to any provider of higher education around the world, both privately and publicly funded. There were three sections, each requiring applicants to submit their ‘case for excellence,’ along with a fourth section providing an overview of the institution. The sections had to be a specific length (approximately 650 words each) and couldn’t contain any links, photos, appendices or additional information. Given the brevity of each section, content had to be carefully selected from a breadth of possible examples. A Higher Education Academy report on the 2017 award winners was given to all applicants to help frame and focus suitable examples for each section. Each section had to be tied together in a written narrative that succinctly, but clearly, outlined VIU’s case for excellence. Dr. Liesel Knaack, Director of the Centre for Innovation and Excellence in Learning, was the primary researcher, organizer and writer for the submission. She received significant assistance from Dr. Carol Stuart, Provost and Vice-President Academic, and Dr. Graham Pike, Dean of the Faculty of International Education. Both Joanne Falvai, Faculty Member of the Faculty of Social Sciences, and Danielle Paydli, Manager of Education Abroad, contributed content for specific sections in the submission. The final edits were provided by Ben Hyman, University Librarian; Dr. Carrie Chassels, former Associate Vice-President of Student Affairs; and Dr. Ralph Nilson, President and Vice-Chancellor. Collectively, over 100 hours were contributed to this submission. What were the three main sections of the application? The application’s three sections gave institutions a chance to make their cases for excellence in teaching and learning with respect to: Institutional structures and vision, classroom activities and student experiences, and student supports and extracurriculars. The first section called for examples of leadership in teaching and learning across the institution. We were asked to focus specifically on existing processes, supports and strategic directions that allow teaching and learning to flourish. This section also invited us to explore how we demonstrate a global outlook to more broadly expand learning experiences for students beyond our local area. The second section asked us to share examples of programming, experiential opportunities and student experiences that challenged and stimulated students. The last section focused on student supports and the extracurricular activities VIU has for expanding students’ learning beyond the classrooms. 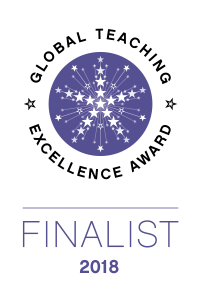 This article outlines these three sections and provideds excerpts from the final application to share what was submitted and what we opted to focus on to ultimately become a finalist. What did we submit for Section 1: Excellence in Leadership in Teaching and Learning? As an open-access university, VIU responds to regional needs including those of students who are disadvantaged, Indigenous, international, dual-credit high schoolers, or those pursuing a trade. VIU’s Senate-approved set of institutional graduate attributes answer the question: “What do we expect our students to acquire from an education at our University?” These attributes are integrated into curriculum, work placements, and co-curricular activities to enable students to become valued contributors. For more than thirty years, VIU has been a leader in international education, preparing Canadian and international students to contribute to a changing world. Faculty and students engage in overseas exchanges, field schools, summer intensive programs, co-ops, internships, graduate research and project work. Students receive scholarships to support study at one of 20 exchange partner institutions on 5 continents. Students earn credits and gain international experience while developing intercultural skills. VIU Global Engagement Grants support faculty in gaining an international experience. Curriculum grants support the internationalization of curriculum. In one project, engineering students from VIU and Tra Vinh University in Vietnam collaborated on a bridge-building competition. What did we submit for Section 2: Excellence in Teaching? Faculty who are engaged in research contribute knowledge to their discipline, enhance their teaching practice, mentor students in deep learning experiences and engage with community partners. VIU’s research institutes provide opportunities for undergraduate and graduate learning experiences. Undergraduate research is incorporated as a teaching/learning activity in classes. The Mount Arrowsmith Biosphere Region Research Institute (MABRRI) is connected to the UNESCO-designated Mount Arrowsmith Biosphere Region co-managed by VIU. MABRRI is dedicated to community engagement, relationship building and knowledge sharing. More than 70 students in the past three years have undertaken community-based research that advances environmental, economic and social sustainability. The annual student research conference showcases research and projects by students through posters, displays, performances and presentations. The conference sparks research curiosity by enabling networking and the exchange of ideas, and serves as the pillar event in a full research week of activities engaging students. Across VIU, faculty are engaged in innovation, experimentation and risk taking in their teaching practice. The “Inside-Out Prison Exchange Program” offers prison-based university courses at the local prison to university students (outside learners) and incarcerated students (inside learners). The program places a human face on justice issues and provides a powerful academic and experiential learning opportunity, grounded in a philosophy that each human being has innate worth and a story to tell. The course employs circle pedagogy and collaborative dialogue. VIU is among the first five universities in Canada to offer Inside-Out. The program has made an indelible impact – two inside students are planning to pursue post-secondary opportunities; two more are considering following in their footsteps. Another former inside student wants to support youth involved in gangs; and one is planning to write his own memoir inspired by the books he read in the program. What did we submit for Section 3: Excellence in Student Support and Success? In the spirit of reconciliation, a new learning partnership for Indigenous youth supported with $50M by two philanthropic foundations, Mastercard Foundation and Rideau Hall Foundation, has enhanced opportunities for Indigenous learners. This will double the number of First Nations and Métis students who pursue an education at VIU. VIU already offers a range of initiatives and wrap-around supports for Indigenous students, including outreach workers, student mentors, campus Elders and tuition supplements. New supports include Education Navigators to help Indigenous youth access pathways to learning, improve retention and graduation rates and ultimately support the social and economic development of their communities. Relationships are built by providing in-community services to guide Indigenous learners along their pathways. The vision is that students will no longer need support to navigate the “system”; rather, the system will offer supports to fit the students. ‘Community Cousins’, Aboriginal students studying at VIU, offer campus peer support. The program builds capacity for mentors to gain valuable employability skills and career related experience through mentoring activities. Many students enter through VIU’s Aboriginal University Bridging Certificate. The coaching and mentoring provide learners with access to upgrading for entry into natural resource management, science, health, education and trades programs in demand for local Indigenous communities and employers. VIU is a leader in supporting access to education for all youth. As the first post-secondary institution in British Columbia to launch a Youth in Care Tuition Waiver program, we have influenced government policy in this area and removed financial barriers that make it difficult for youth aging out of foster care to access higher education. Since 2013 VIU has supported over 140 students. VIU supports families of future students to access the Canada Learning Bond program and start savings for a child’s education after high school. VIU is a member of the Champion’s Network; a support network of organizations across Canada that promotes the Canada Learning Bond. VIU is about investing in people to move an impoverished population into full participation of social and economic prosperity. 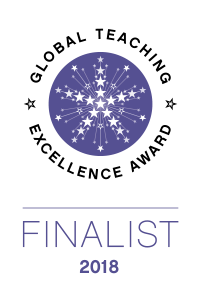 We submitted our application in February 2018 and in early May, we heard that we were selected as a finalist. On July 18, all 17 finalists attended a ceremony in Edinburgh, Scotland. Dr. Graham Pike, Dean of the Faculty of International Education; Heather Pastro, Vice-Chair of the Senate; and Stephanie Pastro, Faculty of Social Sciences student, attended on behalf of VIU to accept our award. McMaster University, Canada’s other finalist was the overall winner. VIU is honoured to be a finalist alongside 16 other institutions selected from applications from over 40 countries.